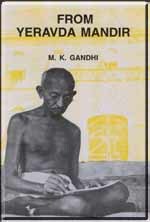 During my incarceration in 1930 in the Yeravda Central Prison, I wrote weekly letters to the Satyagraha Ashram, containing a cursory examination of the principal Ashram observances. As the Ashram influence had already traveled beyond its geographical limits, copies of the letters were multiplied for distribution. They were written in Gujarati. There was a demand for translation into Hindi or other Indian languages, and also into English. Shri Valji Desai gave a fairly full translation in English. But seeing me in possession of comparative leisure during the recurrent incarceration, he has sent me his translation for revision. I have gone through it carefully, and touched up several passages to bring out my meaning more to my liking. I need hardly add, that if I was writing anew for the English reader, perhaps I should write a wholly new thing. But that would be going beyond my commission. And perhaps it is as well, that even the English reader has the trend of my thought as expressed to the inmates of the Ashram, and in the year 1930. I have therefore taken the least liberty with the original argument.